I just had to share this recipe that I found on Gluten Free on a Shoestring, a really wonderful blog by Gluten Free cookbook author Nicole Hunn. 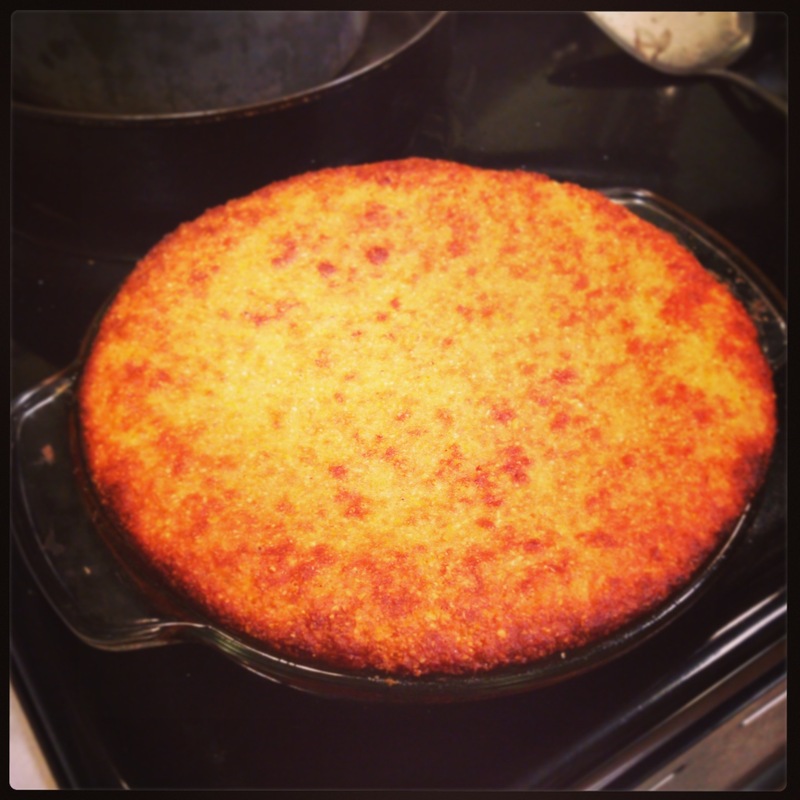 The cornbread disappeared in under 24 hours, which is a new record in our house! The only change I made was to use Greek Yogurt instead of plain yogurt. It was super simple and easy to throw together and went very well with Black Bean Chili we had for dinner, and with a smear of honey for dessert and topped with butter next to scrambled eggs for breakfast the next morning. For the complete recipe please click through to Old Fashioned Gluten Free Cornbread on Gluten Free on a Shoestring. What is your favourite thing to put on or eat with cornbread? Chili? Honey? Cheese? Butter? Posted in Baking, Breakfast, Gluten Free, Recipes, Snacks, Vegetarian and tagged Baking powder, bread, Butter, corn, cornbread, gluten, gluten free, glutenfree, grain, recipe, scratch baking. Bookmark the permalink. I love this! It will be perfect to make for Roy when I’m Northern bound. Would love the black bean chilli recipe please, it will be good to make while Im in the North! Thanks Julia, can’t wait to try it. Hi Sophie, Let me know how it turns out for you! I don’t feel that I’ve perfected the chill recipe yet, but I’ll be sure to share it once I have.